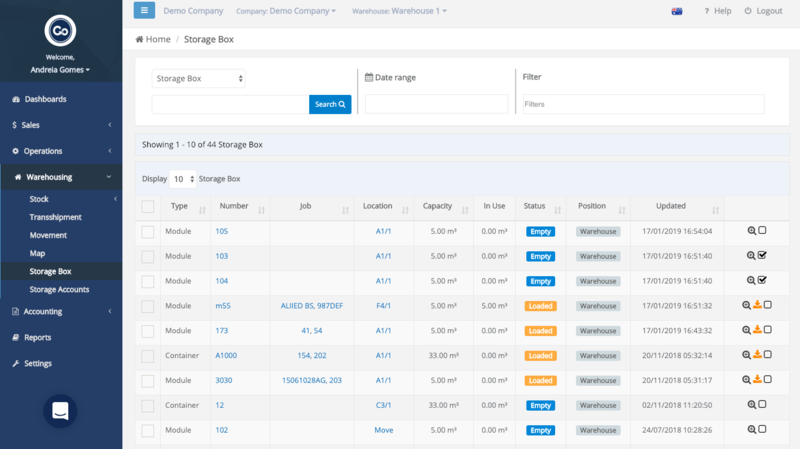 Once you have created maps for all your warehouses, you can start adding the exact location for all your Storage Boxes. The system will load a full list with all your Storage Boxes. These are the ones you have added into the system. If you haven't done it yet, read this article to get it done. 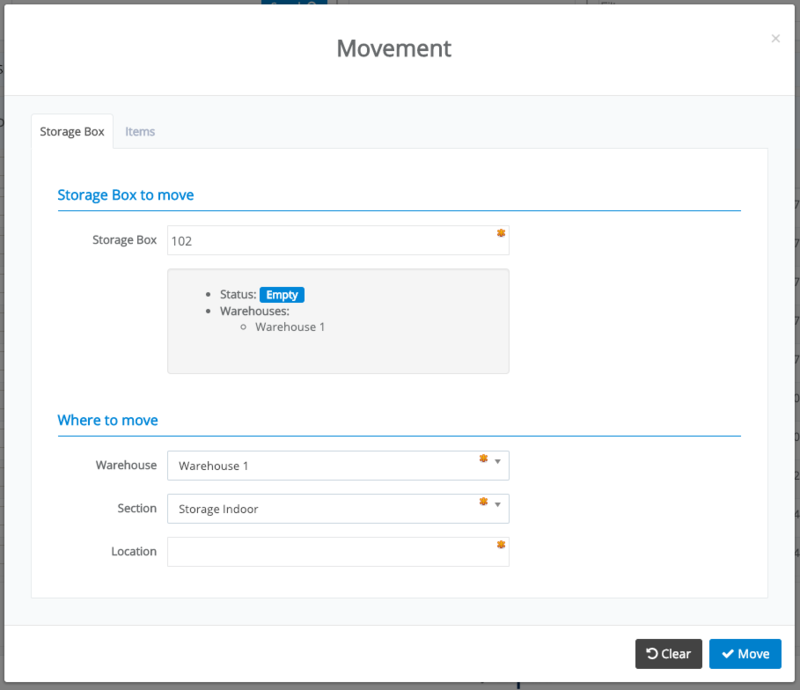 At first, all of them will have a status of 'Move' in the column called 'Location'. As soon as you locate them, the system will show their current location. 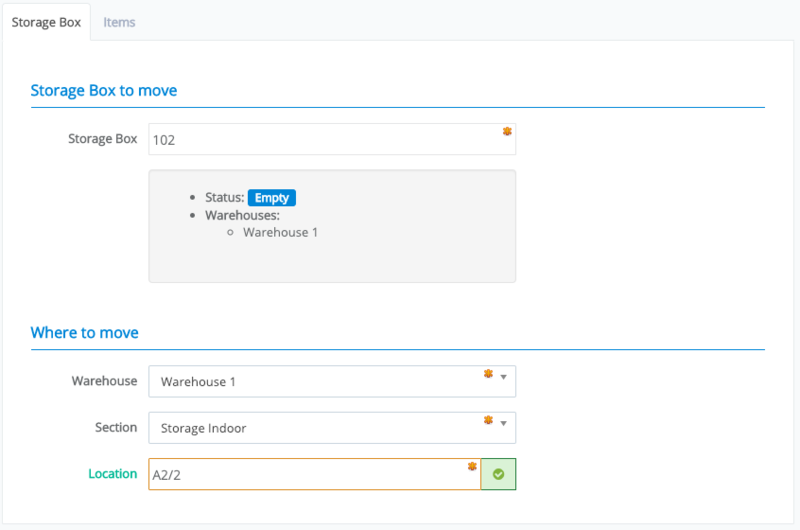 If your location has more than one level and you want to specify in which level that storage box will be located, add the location + '/' + level number just like the example above (location A2/2 meaning column and row A2 on second level). Once you're done, hit the 'Move' button. Learn more about Storage Boxes here!